Erin had the opportunity to photograph Rachel for her Class of 2017 Senior photos. She is graduating from Anacortes High School in Washington state on June 21st, 2017 and is attending Bellevue University in the Fall. This wasn't the first time they met- her sister, Danielle, graduated the year before, and had her high school senior photos taken by E-n-E Photography the summer before in the same beautiful park near Anacortes! She now attends the University of Washington. We were so excited to capture Rachel's senior photos along with a few of the two of them together. The two sisters are very close -going to different colleges will not keep them apart, but nevertheless, you could see how much they miss each other from the pics that we took! There were so many more that we'd love to share from Rachel's session but here is a large handful of our favorites! We are looking forward to photographing their whole family since they're taking advantage of the free photo session that is included with all our senior sessions when she returns to the San Juan area this summer. It's tough getting this family of six (two more younger sisters at home!) - all together for such a special occasion so we hope that they'll be able to coordinate a gathering. There are two opportunities - end of June (we have 2 sessions available!) and end of August! Erin has photographed many families and high school seniors from Port Townsend to Oak Harbor, Bellingham, Anacortes, and everywhere in-between. Since she is originally from Washington and intends to live there again, it definitely helps with knowing where the good areas to photograph are. What are we talking about?! Everywhere you turn in the PNW is a great photo background! Traveling to a new location for some amazing photos is never out of the question (definitely anywhere in the Pacific Northwest and all over Washington, the United States or how about Costa Rica or Kenya? Have camera, will travel - Erin always says!!). Knowing that Erin is a Certified Professional and a Master Photographer gives her clients piece of mind that, YES, she knows what she is doing in any lighting situation and yes, she will make you look your very best! Most recently, she has received Best Senior Photographer two years in a row in Virginia, where she currently spends most of her year, Gold Medalist (PPA) Photographer in 2015 and Bronze Medalist (PPA) Photographer in 2016 which in turn gives her Elite Photographer status with the Professional Photographers of America. 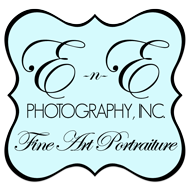 Being best high school senior photographer makes choosing E-n-E Photography for high school senior portraits a piece of cake. Photos you'll LOVE, because it's ALL about YOU! Certified Professional Master Photographer, Erin Clark, spends several weeks each year in the Pacific Northwest where she has most of her side of the family to visit. The rest of the year, she resides in the city of Virginia Beach with her retired US NAVY, husband, Erin (the other 'E' in E-n-E), their son, three pups & 2 cats, spending most days at the London Bridge studio. If you are not in the Virginia area and are looking to book a session with Erin in Washington state, check out her current travel dates: JUNE 22-26th and AUGUST 22-30th - Sessions are LIMITED and require a reservation fee to confirm time on the calendar. Contact the studio today!